Samara has significant experience in the civil service in Australia and the UK. She brings extensive experience working on major strategic projects including the UK’s exit from the European Union (EU), New South Wales’ (NSW) higher education and tertiary policy and the Victorian Government’s regional strategy. 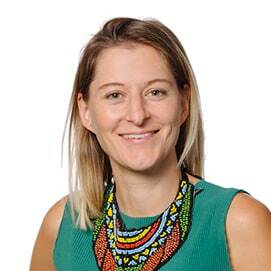 She has also worked on procurement reform and digital strategy for the NSW Government. Samara also offers clients expertise in the not-for-profit and community sector, with a focus on housing and community capacity building. Established and led an affordable housing advocacy coalition with a robust policy platform and strong relationships across the sector and in government. Before joining Nous, Samara worked in the UK at the Department for Exiting the EU. She led the teams responsible for the policy and delivery coordination of the UK’s exit from the EU for the Foreign and Commonwealth Office and Department of International Development. Prior to this, she worked in various policy roles across the NSW and Victorian governments; including the Victorian Department of Premier and Cabinet; the NSW Department of Finance, Services and Innovation; the NSW Department of Education; and the Consulate General of Switzerland. She has also spent time working in the not-for-profit sector at the Sydney Alliance. Samara holds a Bachelor of International Studies from the University of NSW and a Master of Public Policy from the University of Sydney. Samara enjoys hosting elaborate dinner parties and playing board games. She’s also an occasional fencer and regular traveller.